Fixed spurious ‘duplicate entry’ exceptions. Split into Delphi 7 and Delphi 2005+ versions. Added LoadFromIniFile and SaveToIniFile methods to TAutoCorrectEngine; default is to save to UTF8-encoded files. Download from the same place, namely here. Fixed backspace not working when acAutoIndent is amongst the options but there is no indentation to reduce. Fixed the return key not acting as a trigger key for rich edits that use v3 of the rich edit DLL. Moved the TXXXWithAutoCorrect classes to a separate unit, CCR.AutoCorrect.Controls.pas. TRichEditWithAutoCorrect now does a bit more than simply expose an AutoCorrectEngine property, since it now works around bugs in the underlying control — specifically, the uncurling of smart quotes and mis-loading of dashes as hyphens when RTF is either streamed or pasted in. Fixed ‘enable runtime themes’ option not being checked for the demos’ D2007 project files. Added better for/in support to TAutoCorrectEntries when compiling in D2005 or above. Download from the same place as before; any comments and suggestions are welcome. I’ve just uploaded some code to implement AutoCorrect functionality in TCustomEdit and TCustomCombo descendents (TComboBox, TRichEdit, etc.) — check out the link to your right or here. Basically, it’s a non-visual component (TAutoCorrectEngine) together with simple descendents of TComboBox, TEdit, TMemo and TRichEdit that enable hooking things up at design-time, though it’s easy to hook things up manually at runtime too (a demo shows how). 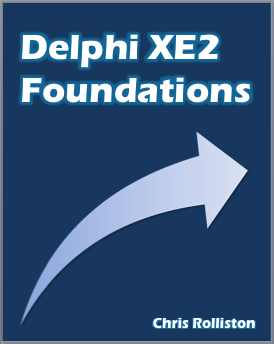 The code runs in Delphi 2005 or above ‘as is’, and is Delphi 7 compatible too with one small fix-up (in short, replacing a UTF-8 encoded source file with an ANSI one).